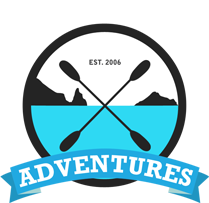 Cornish Coast Adventures | Kayaking and Coasteering in Polzeath Cornwall » Summer 2017 with CCA. Its May already and its amazing how fast the year is spinning by, we have had some amazing early season conditions this year with the jets stream currently providing us with lovely calm sea conditions through April and early May. We are looking forward to seeing lots of new and familiar faces in the coming months, so if you havent made a booking already, please give us a call or email to let us take you out on your 2017 Cornish Coast Adventure! I must admit im a bit rubbish at updating our blog as im much more motivated by getting out on the water than i am by sitting at the computer, so for more up to date goings on please like us on facebook or follow us on Instagram, where we try and put up lots of images of this beautiful area, which we are lucky to have grown up in and get to enjoy on a daily basis.